I am over the moon excited today … I am hosting my first ever giveaway! Let’s face it … we are bloggers and therefore a pretty camera happy bunch. I have had so much fun capturing my family’s memories (and our meals) through my viewfinder. I have been meaning to organize these memories into a scrapbook of sorts so when the awesome folks at My Memories contacted me asking if I wanted to host a giveaway I jumped on board! My Memories Suite utilizes drag and drop options and plenty of drop down menus so it is easy to find the embellishment you are wanting to add. 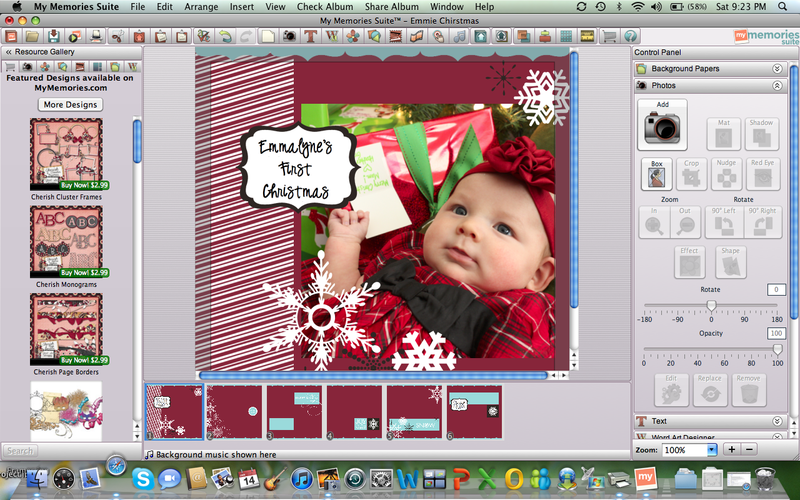 You can completely customize your page using different papers, fonts, shapes, and embellishments. I had so much fun scrapbooking my favorite photo subject! As a new mom this software is a pretty neat edition to be able to capture and save all of the amazing memories we are going to have with sweet Emmalyne. So are you ready for the fun part? My Memories is giving away to one lucky reader a My Memories Suite software package valued at $40! 1. Go to www.mymemories.com and leave me a comment telling me what your favorite digital paper package or layout is as well as why you want to win this giveaway. 2. Follow my blog and leave a comment saying you did. 3. Like Food, Fitness, and Family on Facebook and leave a comment saying you did. 4. Follow me on Twitter and leave a comment saying you did. 5. Tweet about the giveaway using this tweet: “@FoodFitandFam is giving away @MyMemoriesSuite digital scrapbook software!” and link back to this post. Leave a comment saying you did. **Multiple entries are permitted but make sure you leave a separate comment for each! The giveaway will close on Friday, January 20, 2021 at Midnight EST. I will select a winner using random.org and announce the winner on Saturday, January 21, 2012! **My Memories provided me with the My Memories Suite Software to review. All opinions are entirely mine. I recently say Lindsay post a workout summary of her workouts this week and several other bloggers keep a running workout log. I think this is pretty neat and thought I would jump on board! I get so much inspiration and new ideas from seeing what others are doing and I hope I can inspire something in you too! I posted last week about how I go about meal planning. 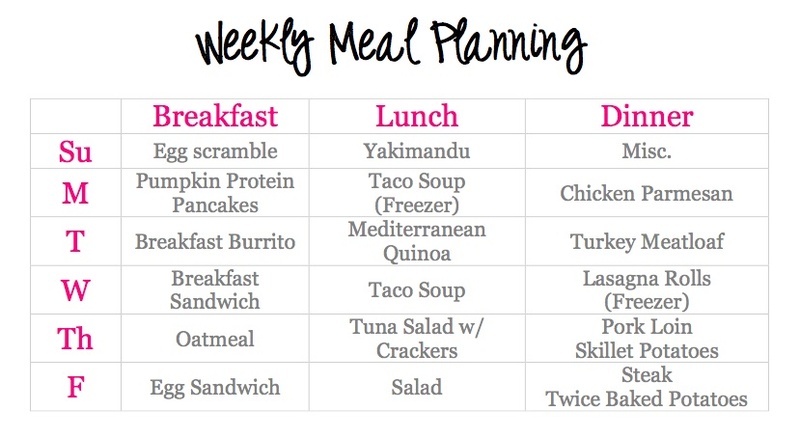 I thought I would make it a regular feature and post my meal plan for the week!